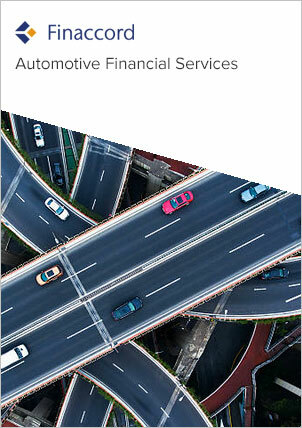 Finaccord’s report titled Manufacturer-Branded and Dealer-Intermediated Motor Insurance and Road Assistance in Europe amalgamates comprehensive and in-depth research covering 20 countries in Europe, namely: Austria, Belgium, the Czech Republic, Denmark, France, Germany, Ireland, Italy, Norway, the Netherlands, Poland, Portugal, Romania, Russia, Slovakia, Spain, Sweden, Switzerland, Turkey, the UK and Ukraine. Based on a survey of 1,155 dealers in these countries and an investigation typically covering between 30 and 50 manufacturer brands in each territory, the study delivers unique insights into the market for packaging motor insurance and road assistance in conjunction with sales of new and used passenger cars bought by consumers through the automotive trade distribution channel. The research also generates data describing the value of the markets for motor insurance and road assistance captured by the automotive trade in each country in terms of both new and on-going policies. In addition to this unique market data, the survey results measure the extent to which automotive dealers and manufacturer brands actually intermediate motor insurance and road assistance in each country, to calculate average customer take-up rates at the point of sale, and to understand relationships between manufacturers or importers and external motor insurance and road assistance providers for branded or endorsed programs. track the involvement in this field of leading national and international competitors including Allianz, ARC Europe, AXA, Covéa, Europ Assistance, Falck, If P&C Insurance, Inter Mutuelles Assistance, MAPFRE, Nürnberger Versicherungsgruppe, Talanx and Zurich.